Our Miss Universes 1969, 1973, 2015 & 2018 have similarities in terms of so many factors. Let us all observe their similarities. - I see Gloria in Pia's personality they are both engaging, "kikay", open minded, impulsive, straight forward and bold. - Just like Gloria, Pia's lovelife also became controversial. - I see Margie in Catriona's personality, they are both reserved, pure of class, more feminine like, protective etc. - I see Catriona's following Margies footstep in terms of charity works, and government related projects. - Just like Margie, Catriona's lovelife is more private and not so controversial as Gloria and Pia. Note: Gloria and Margie won with 4 years gap while Pia and Catriona with 3 years gap. For sure there are so many more similarities of them, let us all share it for everyone to enjoy. MORAN AND GRAY ARE CROWN CONTENDERS WHEN THEY SET FOOT TO THE HOST COUNTRIES. THEY CAUGHT MEDIA ATTENTION AND THEY WERE HEAVY FAVORITES TO WIN THE CROWN. DIAZ AND PIA BOTH SLAYED THE Q&As. Gloria's first runner-up was Miss FInland. Miss Finland was a runner-up in 1974, the year after Margie won. Margie's first runner-up was Miss USA. Miss USA was a runner-up in 1970, the year after Gloria won. 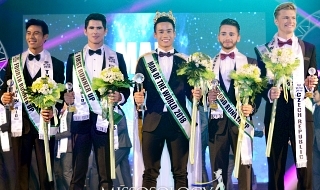 Pia's first runner-up was Miss Colombia. Miss Colombia was the winner in 2014, the year before Pia won. 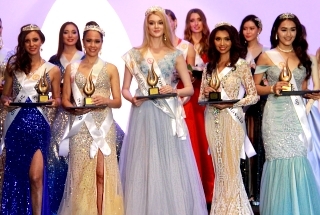 Catriona's first runner-up was Miss South Africa. Miss South Africa was the winner in 2017, the year before Catriona won. I do hope the cycle of 40++ long years will not happen again for us to get the 5th Crown. I don't think it will happen again, God forbid. The Philippine pageantry already woke up from its deep slumber and learned its valuable lesson. The electrifying energy that the Philippines shows to the whole world right now is just unstoppable. 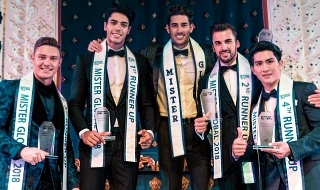 Plus, we already found the right formulae to win pageants ---- thanks be to God ---- which will enable us to win more crowns in the international arena in the years to come. Amen. 4 DIFFERENT KIND OF FILIPINA QUEENS. The first two are by no means beautiful. Gloria Diaz looks like a cute chihuahua and Margie Moran looks like she had mumps. - Pia was my ultimate favorite but gurl, she needs to know that so many men are not that nice. - Catriona proved her hater was wrong, and she made Julia to congrats her.